Hi, I'm Brigit, founder of Biddy Tarot, and this is the Monthly Tarot Card Forecast for August 2016. OK so I've drawn our cards for today, and I have Judgment reversed for our Blessings, I've got the Eight of Wands reversed for Challenges, and I've got the Eight of Cups reversed for our Outcome. What we have here is we have three reversed cards. Now some people thing reversed cards mean all these problems are going to be coming up, or it's a lot of negative energy, but I like to see reversed cards often in the frame of internalized energy -- you're actually focusing your energy on yourself. I have the Judgment card here. I really see this in the reversed position as kind of like an inner calling. You start to feel like something is emerging within you and something is calling to you, and you have a choice: you can listen to that call, or you can ignore it. The reason why people sometimes ignore that inner call, is because that call will often ask you to make big sacrifices in your life, and make some really, really tough decisions about what is truly important to you. You can see it as, "Wow, this is a sign that I'm slowly being drawn to a different path. So the Blessing this month is that there is an inner calling, but it's really up to you as to whether you're going to hear that inner calling and pay attention to it. Let's move on to our Challenges, and we've got the Eight of Wands reversed. Eight of Wands reversed is typically around delays, so if you're waiting for something to happen this month, it may be delayed. 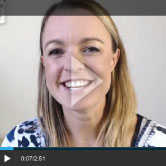 So just make sure you've got a plan B -- work a little bit of extra time into your time planning. 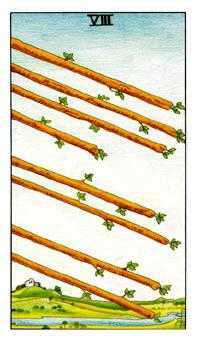 The other side to the Eight of Wands reversed is more about what's happening internally. Eight of Wands reversed can sometimes reflect that stuck energy you feel. You know that you need to move forward -- particularly if you're hearing that inner calling that we saw in Judgment reversed. Is the time right now for me to act upon this inner calling, or do I just need to sit with it, and be OK with sitting with that inner calling, before I start to take action and move forward. 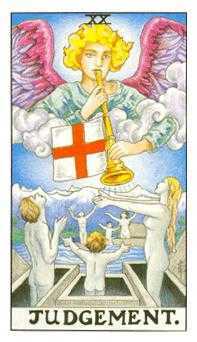 Let's now look at our final card -- the Outcome for the month ahead -- and we have the Eight of Cups reversed. 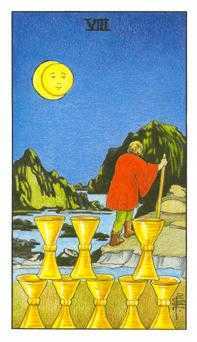 Now you can see in this card, there is a man and he's walking away from these eight Cups in the dead of night. This is often a card of walking away from something, quite literally, and when it's in the reversed position, it's a sign that you know internally that you need to walk away from something, but it's really hard to do. There might be something in your life that you've invested a lot of emotional energy into, but you've come to realize this is not working, and therefore I need to make a really tough decision here and walk away from it and move on. 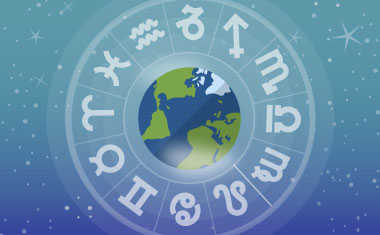 I think that your intuition will really be talking to you this month. And again it's your choice whether you listen or not, because it's easy not to listen. But, that might steer you down the long route to where you need to go. So there you have it, that is the Tarot Forecast for August!